Anything and everything that comes from the pen of eternally underrated Austrians Abigor is worth hearing, and this four-way concept split release is no exception. Apparently having been teased for over a year, it forms a deranged mini-opus in praise of Him Downstairs, the four bands here each contributing an eight-to-eleven-minute track that all combine to form a cohesive experience that’s basically one long piece, both thematically and stylistically. That’s despite the change in genres, too, as this isn’t pure black metal; Abigor’s opening contribution especially a strangely technical form of atmospheric rock that takes in everything from varied vocals (snarls to surprisingly terrific clean singing) and acoustic guitars, often focusing entirely on the vocals with the almost jazzy instrumentation, especially the strange riffs and subtly varied drumming. It’s strangely sparse at moments, less intense and busy than the other bands, but just as creepy as a wild-eyed religious invocation to Satan should be. Deconstructed black metal is perhaps a good definition rather than anything else, and those who know the band will be accepting of their strays from the path of purity when it comes to their distinct form of worship. It contrasts well with the following contribution from Nightbringer (none of the pieces are named, so far as I can tell) which blasts immediately into sinister black metal, shriekingly high-pitched riffs and galloping drums setting an eerie atmosphere immediately and vocalist Naas Alcameth’s hoarse croak a welcome difference from the various Abigor efforts. It’s far more traditional in style, the blasting drums and walls of guitar more what you’d expect to hear from a black metal opus satanicus! Towards the end it slows a little and becomes doomier despite the riffs not really changing from their hypnotic shrill, leading well into the contribution from Greece’s Thy Darkened Shade, new to me but certainly worth checking out further on the strength of their track here. It’s a fast, heavy blaster with plenty of melodic riffing around the edges that develops and envelops the listener, technically sound and the sort of thing that I would have expected from Abigor from their recent output, but all the more welcome from a band new to me. The band throw some breathy female ‘ahhh’ing in, thankfully used sparingly, and a lengthy piano interlude for neoclassically-inclined dark souls, but the focus here is on the pitch-black metal at its heart, and that is performed to perfection. 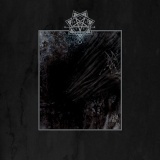 Some chanting towards the end helps lead directly into the final piece, from Swedish duo Mortuus. Also new to me, the band take a slower, doomier line here, the atmosphere turning more grandiose than before as it builds to a dramatic zenith. It’s as impressive as the other pieces here (although it’s taken more listens to appreciate) the vocals especially a guttural dirge that enhance the surrounding instrumentation well. All four bands have very good productions, with little things that we’ve come to take for granted like audible bass, and I’ve had different favourites every time I’ve heard it, hearing new aspects each time. Abigor fanboys like myself should get it for their contribution alone, while the chance to hear three other very talented black metal bands shouldn’t be missed either; Thy Darkened Shade probably the most welcome surprise here overall but your mileage may vary! It's even good enough to possibly make it to my best of 2017 list when it comes. Independently released with a couple of underground labels helping out (hat-tips to Avantgarde and AJNA, whose websites you can order vinyl and CD copies of this from, and apologies to anyone missed) you can hear and purchase the split electronically from Abigor’s Bandcamp here.